Spectacular Wonderfully Upgraded! North East Corner w/90' wrap balcony! Tile flooring throughout. Extraordinary Granite Kitchen and baths. Beautiful wood cabinetry, Stainless Steel Appliances. Wall surrounding Kitchen removed, opened it up enlarging kitchen. Spacious Master suite. Gated plus secure lobby entrance requires electronic card, or key. First Floor common area and Lobby, Billiard and Game room, on site management, Heated POOL. Only 5 Units per floor! 2 Elevators to each floor, with private lobby at each level. NO CATWALKS. Additional storage. 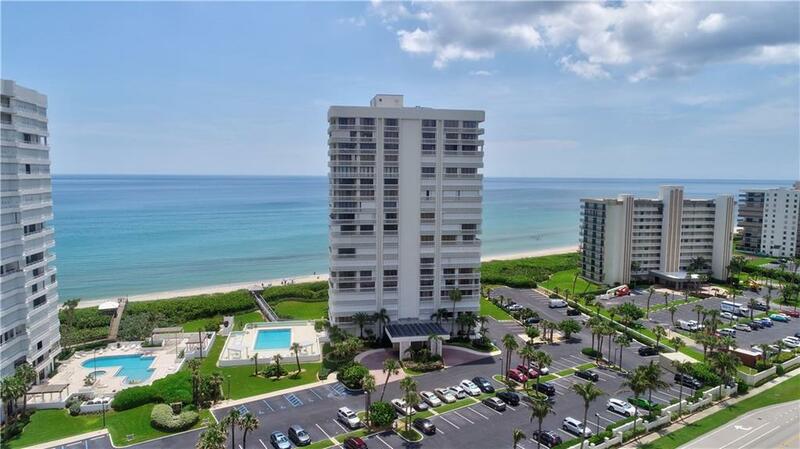 Large spacious open floor plan has huge sf living area, one of the largest 2/2 on the beach. Rarely available corner unit offers marvelous Ocean Views. Vacant Easy to show!